'The Legend of Zelda: Breath of the Wild' release date news: Will the game be released with Nintendo Switch? 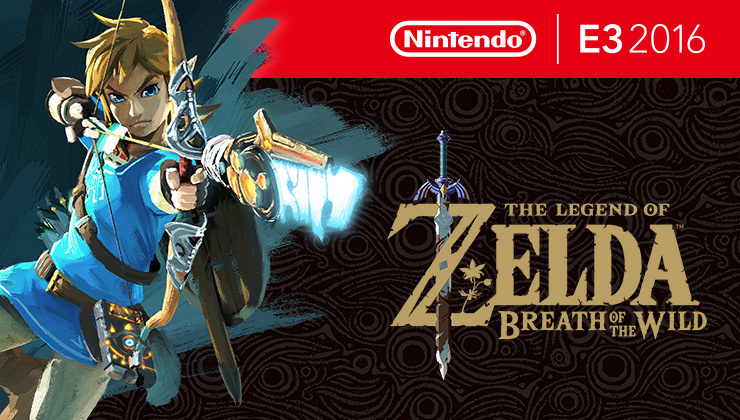 Source: Nintendo || Promotional banner of "The Legend of Zelda: Breath of the Wild"
Originally expected to launch in late 2015, a tweet from Nintendo confirms that the release date of "The Legend of Zelda: Breath of the Wild" will be moved to 2017. Devoted fans of the franchise will have to wait because the game will not be come out together with Nintendo Switch when the console launches in March 2017, as originally reported. According to a tweet from Nintendo as translated by IGN, "Though originally scheduled for 2016, the release of the latest 'The Legend of Zelda' title is postponed until 2017, to allow further improvement of quality." The pressure is on for Nintendo to deliver quality by testing and ironing out the kinks. There are rumors that testing may take four to six months, and that the game giant is working on a new technology, which could explain why the company is buying more time. This development can also give enough breathing room for Nintendo to build up the launch of the new Zelda and Nintendo Switch. The changes in the launch may help amplify promotional efforts for the console and game separately instead of launching them on the same date, which could possibly affect sales. There may be delays, but promotional images and teasers for the game have been released on the Nintendo website, keeping the forums buzzing. The stunning images and fluid graphics as seen in the teasers excite many Zelda fans. Even though the exact date of release has not been announced yet, fans can pre-order the game as soon as now via Amazon, Best Buy, Target or Walmart. Various prices are posted on the mentioned sites. "The Legend of Zelda: Breath of the Wild" is anticipated to be one of Nintendo's biggest titles. There are other Wii U games coming out soon, including "Exile's End," "Rive," "A.N.N.E," "forma.8," and "Hive Jump." "The Legend of Zelda: Breath of the Wild" is slated to be available for Nintendo Switch and Wii U in 2017.